We're growing kid-sized tennis in Virginia from the ground up . 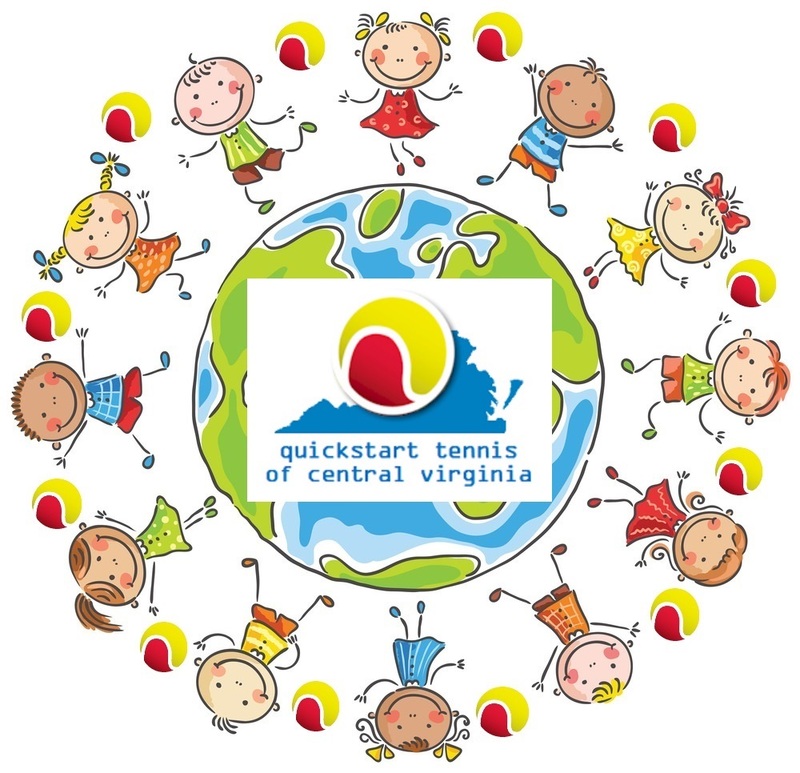 . .
QuickStart Tennis of Central Virginia (QCV), an all-volunteer 501(c)(3) public charity, has taken the kid-sized QuickStart Tennis "play to learn" format to 27 formerly underserved counties in central and southside Virginia. We are the "tennis greenhouse" in central Virginia, growing tennis players and a public tennis tradition from the ground up. We keep score!!! In September 2008 there was one "pilot" school in Albemarle County (Greer ES). We held a 10-year celebration at Greer in September 2018. 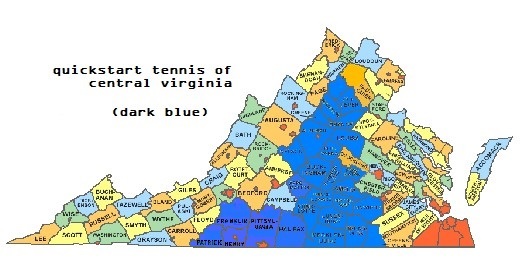 Today there are 208 QuickStart schools with tennis in PE classes in 27 counties and 3 independent cities reaching 96,000 kids in central and southside Virginia!!! We have deepened our impact with BrightSTARS -- Tennis for Me! in a dozen schools so far. Plus we've taken tennis to PE classes in another 36 schools with 15,000 students in communities outside our service area. Through local community partnerships we can get QuickStart Tennis going just about anywhere!!! Let us know if we can help in your community. Thanks to the USTA's new Net Generation Initiative, schools, parks & recreation departments and youth-based organizations can now qualify for free training and equipment. Check it out here. What is QuickStart Tennis? QuickStart Tennis is the USTA's kid-sized, age-appropriate format for teaching kids ages three and up the "sport for a lifetime." Tennis has always taught kids valuable character-building life skills like integrity, sportsmanship, dedication, determination and teamwork. QuickStart changed the teaching approach from traditional instruction to "play to learn" with a competency progression, which helps kids experience success early on. QuickStart adds FUN fitness and conditioning activities that work on agility, balance, coordination, footwork and reaction time. QCV is helping create "play pathways" in the communities we serve to get kids playing tennis in PE classes, after-school and out-of-school. Kids have so much FUN with QuickStart that they don't even know they're learning, and they're learning a lot. QuickStart brings out the best in kids naturally. Want to be a great adult? Be a QuickStart kid! 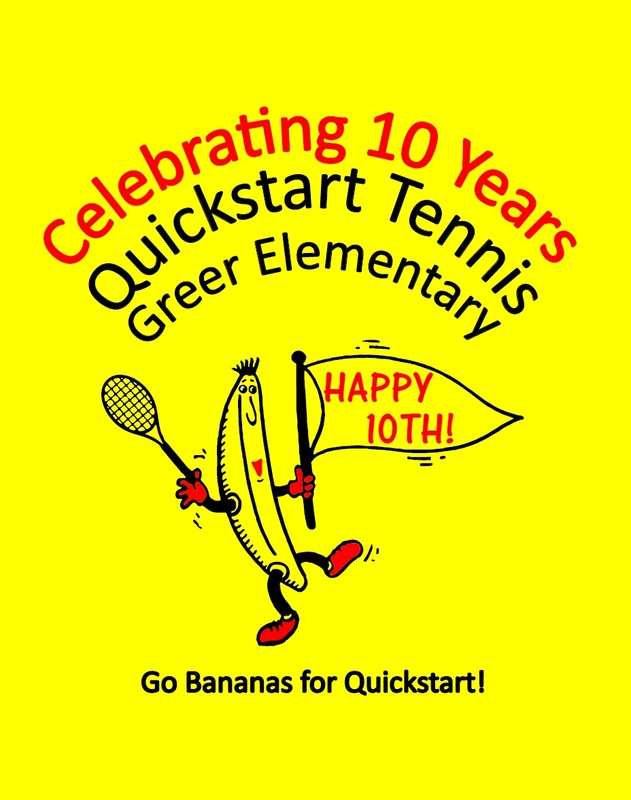 QCV is an all-volunteer, grassroots Community Tennis Association (CTA) dedicated to promoting, developing and growing QuickStart Tennis in 27 counties and three independent cities in central Virginia. Unlike most CTAs, which focus on a limited local area and offer a wide variety of USTA programming, we are targeting a wide area with a concentrated goal of introducing, promoting and growing the QuickStart Tennis format. Our goal is to create happy, healthy and active kids in the communities we serve. At QCV we feel a little bit like pioneers or missionaries taking the message of the "sport for a lifetime" into new territories, but we've had a lot of FUN spreading QuickStart Tennis all around central and south-central Virginia. QCV is a member of the USTA, Tennis Industry Association and Center for Nonprofit Excellence and a registered USTA Community Tennis Association. QuickStart Tennis of Central Virginia is a 501(c)(3) charitable organization. Fifth Annual Crozet Tennis Day is Best Yet! For earlier NEWS, click here. Click here for our Upcoming Events listing.